First, let’s make an important distinction: A happy employee is not necessarily an engaged employee. 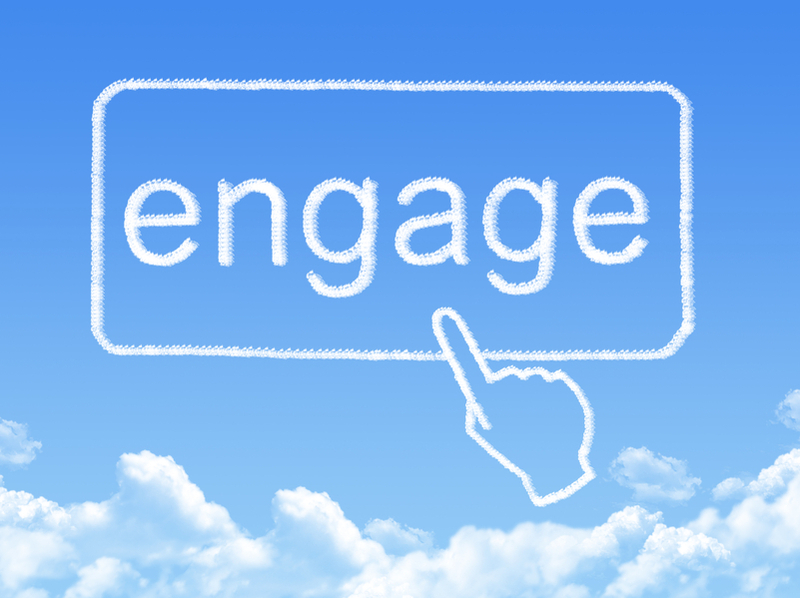 Employee engagement is much more than employee satisfaction. Engaged employees are emotionally invested in their work and highly committed to the organization. They advocate for the company, have no plans to leave the company behind, and enjoy helping the company succeed. Every business needs those kinds of employees. The bad news is that today’s diverse workforce creates a difficult environment for developing engaged employees. In fact, a 2015 research report conducted by the Society for Human Resource Management (SHRM) found that “maintaining high levels of employee engagement” is a top challenge for businesses today. The good news is that it’s never too late to try! There are plenty of proven strategies for jumpstarting employee engagement. Make sure your employees know these qualities are valued in your organization. Communicate openly and give them room to challenge processes and bring their ideas to the table. Provide employees the opportunity to evolve with your company and contribute to the company’s growth in order to develop deeper engagement and commitment within your workforce. Creating opportunities for employees to build personal connections with one another is also essential to employee engagement. SHRM’s 2016 job satisfaction and engagement report found “relationships with coworkers” to be one of the three most important conditions for employee engagement. Similarly, TINYpulse’s 2015 report discovered that peers and colleagues are what employees love most about their jobs. In order to nurture these important relationships, it’s essential to first hire the right talent. Companies need employees who mesh well while energizing and motivating one another. Second, try to create team-building events or service projects that bring employees together beyond the office walls. Situations like these allow employees to get to know each other on a more personal level, which can make working together more comfortable and enjoyable. It’s 2017: technology dominates our daily life, especially at work. If you’re only communicating with employees through paper office memos and e-mail, you probably aren’t seeing much engagement. Modern workers are increasingly tech-savvy and expect instant access to information. Popular social media sites like Instagram and virtual messaging tools like Slack are great ways to connect with employees. You can even implement an employee engagement app that is designed specifically to help you interact with your employees and boost their excitement for your organization. AON’s 2016 global employee engagement trends report found that “rewards and recognition” is one of the top three engagement drivers around the world. It makes sense: engaged employees feel valued and appreciated. One way to cultivate that sense of value is by recognizing employee performance. A great way to motivate team members is to create a rewards program that frequently recognizes employees for their achievements. Such a program doesn’t need to be complicated; you can include stand-out employee names in office-wide communications or give employees a small “prize” like a gift card or free lunch. It’s also good practice to incentivize employees with role promotions or merit-based pay raises. Implementing effective employee engagement strategies is meaningless without taking time to analyze the outcomes. For maximal impact, your strategy should include regular measurement of engagement among your employees. Measure your efforts with an online form tool or data collection platform to conduct thorough annual, semi-annual, or quarterly employee engagement surveys. You can also create quick polls to send out more frequently. These surveys and polls will help you gather actionable data about what is motivating or discouraging employees—which means you’ll be able to make informed decisions to boost engagement in the workplace.